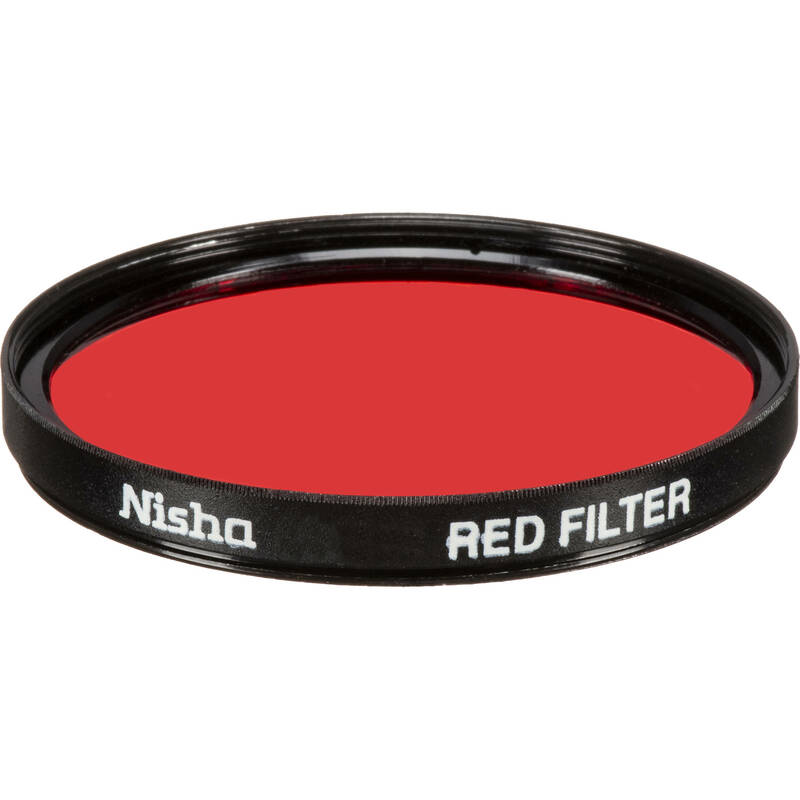 The Nisha 72mm Red Filter can be used to increase image contrast when photographing using a film camera system with black-and-white film installed. 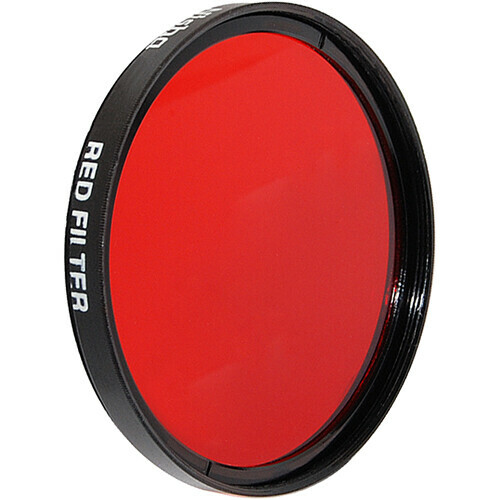 When using this filter, wavelengths of visible light that are apparent as green, blue, and violet colors to the human eye are suppressed, while visible light associated with yellow, orange, and red colors are able to more easily pass though the Nisha 72mm Red Filter and into the lens it is mounted in front of. When photographing with this filter along with black-and-white film, green, blue, and violet-colored subjects within a scene are reproduced in much darker shades of gray than if a filter was not used. Simultaneously, yellow, orange, and red subjects are rendered in much lighter shades of gray. When applied to black-and-white photography, the increased contrast provided by the Nisha 72mm Red Filter can result in dark skies with extremely defined clouds. Shades of green among foliage can become strongly differentiated from neighboring shades of yellow, orange, or red, while light skin tones can be rendered as white or near-white. Additionally, this filter can also minimize the presence of haze caused by the bluish cast of daylight.